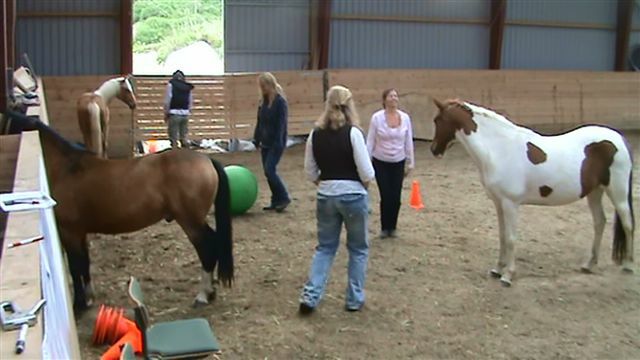 Hestenge Horsefriendship invites you to coaching with Horses. being able to progress to what we want. We believe we can make a change not only for you – yet also of your connection to the Horse. You will learn to listen to your Horse and the horse will learn to pay attention to you. You will become aware of your growth potential and at the same time which habits to get rid of. The learning method is kind and enjoyable - it will give you memorable moments worth sharing with fellow participants. We’ll make sure to provide you with a list for you to be able to connect. We see what you do and provide observations and reactions of the Horses. You will LEARN A LOT. As a Horse Person I see the EAGALA method as an opportunity giving Horse People a Tool of understanding the Horses and their reactions. Giving answers to why the Horse is doing what it is doing and us responding the way we do - feeling our own reaction and the effect of it. I have been using this method for 3 years within growth and learning for employers, leaders and helping persons with severe difficulties – ex. anxiety and lack of motivation. The method is great for nourishing and expanding the Ego - personally I have grown in both a positive and loving direction through the EAGALA method. Day by day I feel I progress and I simply just want to pass on this opportunity for growth and development.